This book brings up the age old question, How can you tell if your cat is plotting to kill you? Well, apparently if your cat is kneading you, that's not a sign of affection. 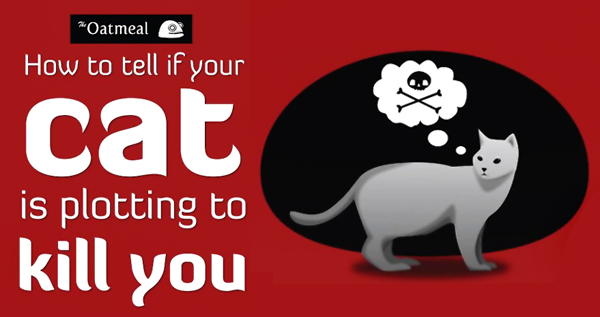 Your cat is actually checking your internal organs for weakness. FACT. If you've ever seen theOatmeal.com you already know how funny this book is and that you should buy it now, it's also probably an awesome gift for cat lover people.